Our belief in Quality drives a higher internal standard and therefore a better, more premium product. We believe that our customer base is best served in the long run with a roofing contractor who is focused on quality. Since 1979, we have stood above other commercial roofing companies due to our commitment to skilled workmanship, fair business practices, superior customer service, professional project management and a meticulous attention to detail. We have successfully installed over 150 million square feet of roof installations without a single failure. Two of the main reasons for our success over the years is our ongoing training and development of our roofing technicians and our high internal standards for our employees. "...professional, on time daily, and completed all work within said schedule. The work area was safe, clean and did not disrupt our business or our customers." We utilize cutting edge infrared technology (both airborne and roof level) to identify moisture issues and non-visible problem areas below the roofs surface. These methods are primarily used for two reasons; to determine if an existing roof is suitable for a retro fit roof and to help determine the overall condition of a roof. This process is a proactive non-invasive and accurately identifies roof moisture before there are visible signs, which in turn can significantly extend the life of a roof and reduce maintenance expenditures. We create tapered insulation plans when necessary using our wealth of experience and the latest software and techniques to make sure your roof drains properly. Proper drainage is a vital component of a well-functioning and long lasting roof. All sheet metal work is performed in-house where we directly control quality and schedule. This metal work is often the most visible part of a roof from the street level. 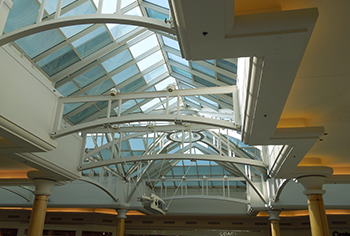 Our quality sheet metal flashings ensure a quality aesthetic from any vantage point. Our tried and true gutter machine allows us to make continuous gutter systems up to 50’ long with minimal seams (sometimes zero). The less seams that a gutter has the stronger it is resulting in a more efficient drainage system for your building. We use state-of-the-art rendering software that diagrams pre-defined roof plans, detailed roof set up plans and an extensive safety plan. We couple these renderings with decades of experience to create a blueprint for success. 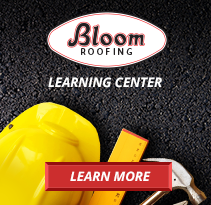 Bloom operates under a strict code of business ethics that is centered around finding the right roofing solution for your building and your budget. Bloom has been known for over 35 years as a commercial roofing company that provides custom solutions and impeccable customer service. On top of delivering uncompromised quality, we have one of the most experienced teams of roof technicians in the industry with each employee having an average tenure of nearly ten years. Our team is dedicated to ensuring proper roof safety measures are put in place for every person that is working at or around our sites. Our philosophy is safety first and all of our workers attend annual training and education seminars to allow them to make the best decisions on the job thus ensuring their own safety. 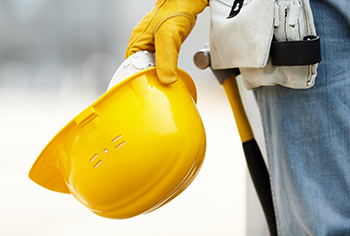 Before each job begins, our safety director or another trained employees does a complete walk through of each site to observe and notate any potential hazards. A staging and set up plan is created for each job showing the set up area, material staging area and safety equipment details such as flags and guardrail systems. During construction, our superintendent performs routine inspections to ensure that all roof safety regulations are met. It’s this attention to detail that has put us in the upper echelon as one of the safest commercial roofing companies in the industry.